Looking for an easy date night at home? Something more than just watching movies and eating chips? 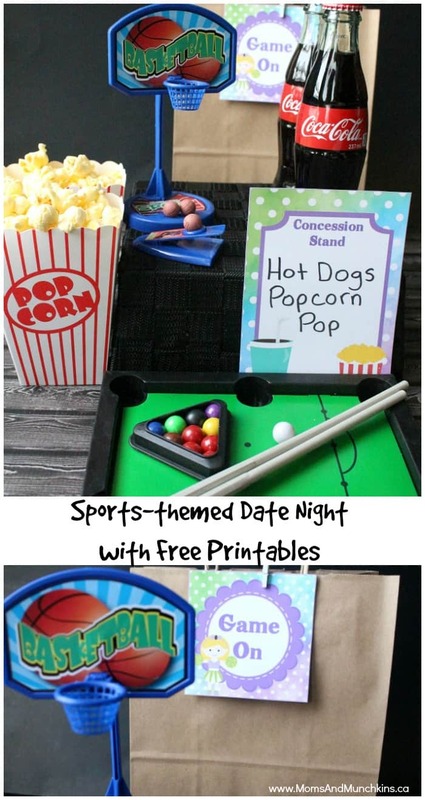 This sports date night at home is so easy to put together and it includes free printables! Sure, going out to watch a sports game is fun but silly olympics at home can be fun too! In this free printable pack you’ll find a “Concession Stand” menu with space to write your menu on. 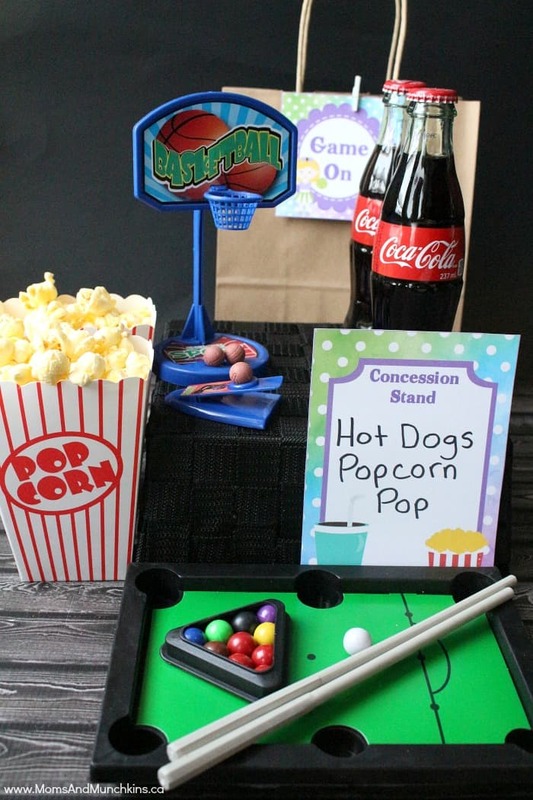 Hot dogs, popcorn, nachos, and pop are all fun foods for your concession stand. You can find cute popcorn bags at your local dollar store. At the end of the work week, you may be too tired to put together a date night so here are some ideas for getting a “date night box” set up ahead of time! This printable pack includes a “Game On” label that you can use to label your date night box. 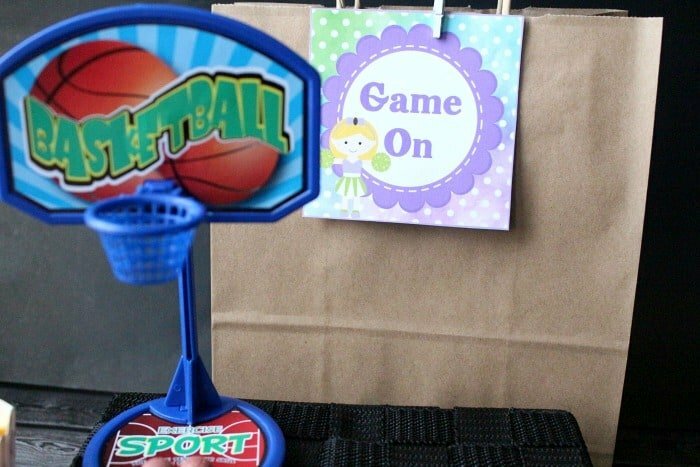 simple games from the dollar store like a mini basketball net, mini pool table, plastic bowling set, etc. If you want to make up some games using supplies around your house, do a little Google or Pinterest searching on “Minute To Win It” games and you’ll find loads of inspiration. Looking for a quieter date night at home idea? 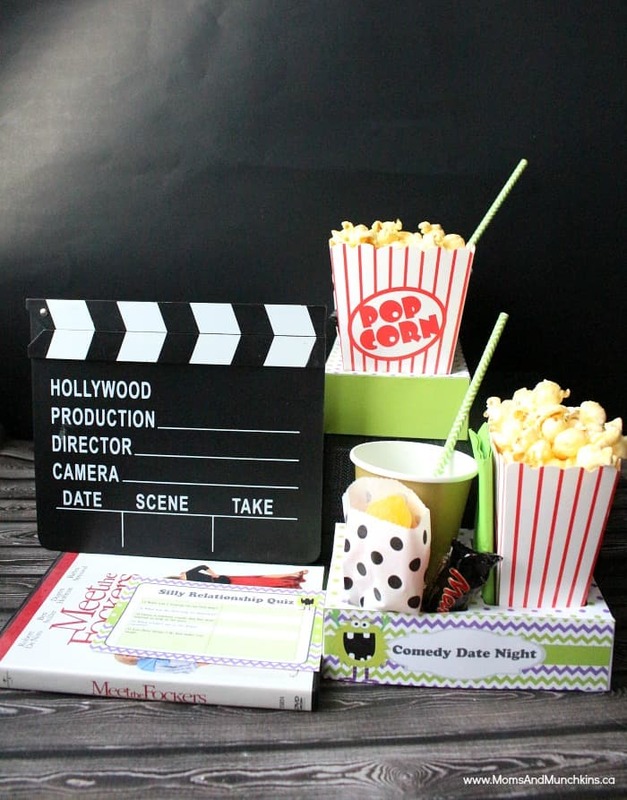 Check out this Comedy Movie Night date pack with free printables. You’ll find more ideas & freebies on our Date Night page. *Cheerleader clipart courtesy of Erin Bradley Designs. Thank you to Wendy’s Printable Party for designing the printables for us!